The College of Psychiatric & Neurologic Pharmacists (CPNP) chapter within the Belmont College of Pharmacy has been nominated by Renewal House to receive the Strobel Award. This award recognizes Middle Tennessee volunteers who dedicate their time and service to improve the community. Renewal House is a long-term comprehensive addiction treatment and recovery program for women and their children. Since 2010, faculty and students in the College of Pharmacy have supported Renewal House through backpack and diaper drives, painting projects and furniture assembly efforts. 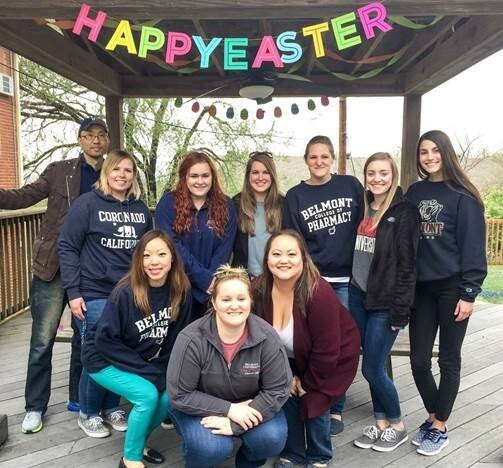 Each year, CPNP puts on an Easter egg hunt and Trunk-or-Treat event for the children living at Renewal House.